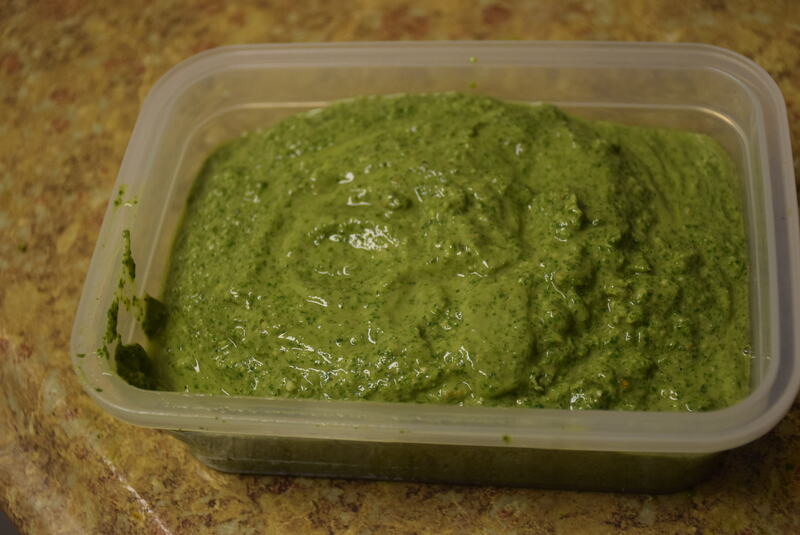 Green dip(Hari chutney) is an easy and versatile recipe. Every state in India has its own style to make this chutney. Like in North ,ginger and tomato are essential; in west peanuts,raw mango are essential; in south coconut water/ powder is essential ; in east green chillies are essential..But follow any recipe and the main ingredient that is the coriander leaves/cilantro /dhaniya remains the same. Now-a-days avocado is also added to get that gooey texture in this dip. However I am going to share which I liked and loved the most, but I would mention the exhaustive list of ingredients for your ease to pick and choose you like. Those which I haven’t added will be with (optional) tag. 1. First of all wash the leaves and separate them from their stems. You may chop them or leave them as whole depending on the ability of the grinder you are using. Usually for small jars ,we need to chop the leaves too with the chillies and tomatoes. 2. 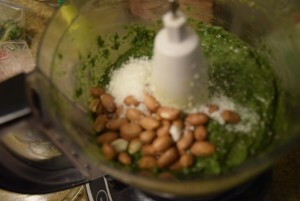 Add all the ingredients in the grinder and grind them till they form smooth paste. If you are not able to add all of the ingredients in one go, add half and grind , then add the latter part and grind again. 3. Also add water little by little to help grinding and get the right consistency. If you are using peanuts or coconut powder, you will need more water in the grinder because they absorb the water of the mix. 4. Adjust the taste of the dip according to your like. 5. Lastly when it is of one consistency , then store it in a glass bowl in refrigerator for fresh use. 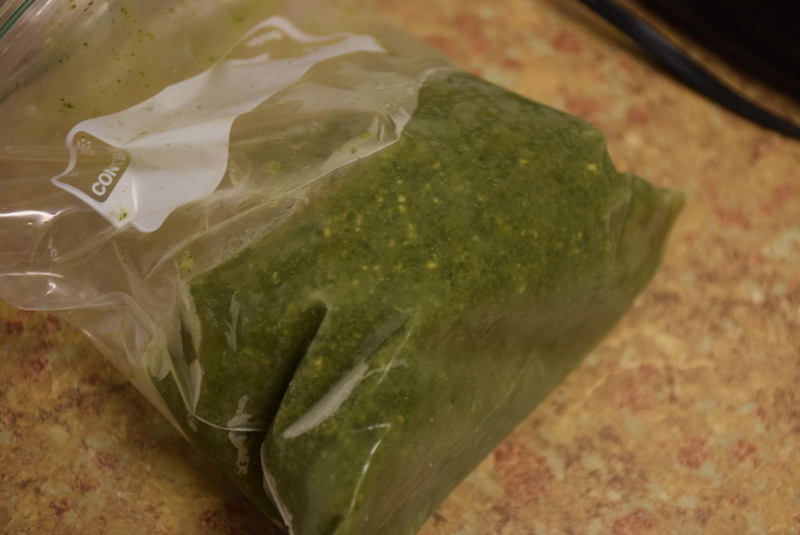 This dip may be used for 2-3 days without rottening. However, if you are using curd,onion or garlic in this recipe ,it will rot quickly. Also if you use avocado, then just immerse its pit in the center to avoid darkening of the dip. This dip not only enhances the taste of every side served with it, but is also beneficial for your digestive system .. This entry was posted in Dips and pickles, Food, Recipes and tagged ALoo tikki chaat, ambi, avocado, Carenshare, chaach, chutney, chutni, chutny, dhania, green dip, Hari chutney, Imli ki chutney, kachcha aam, mirch, pani puri, peanuts, pudhina, shweta jindal, thai chilli, tomato, zindagisikhati.